Aromatherapy is the practice of using volatile oils – known as essential oils - to promote psychological and physical well-being. Essential oils are the pure 'essences' found in flowers, berries, grasses, roots, seeds, bark, fruits and herbs, and are extracted mainly by steam or water distillation. All oils have their own unique character, aroma and therapeutic properties; as they are highly concentrated, a little goes a long way. Essential oils consist of tiny aromatic chemicals that aid in a variety of health, beauty and hygiene conditions. 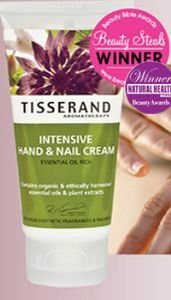 Tisserand are constantly updating and improving their formula, sourcing and using new ingredient alternatives that are mild to the skin and, wherever possible, organic and so kinder to the environment. 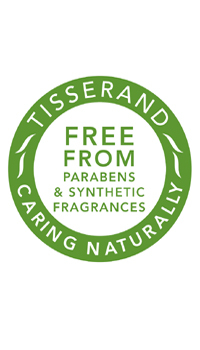 Tisserand only ever use pure essential oils and absolutes. Directly derived from plants, they are entirely natural and deliver their own unique therapeutic and aromatic properties. They use alternative cleansing and foaming agents, such as ALS, which is derived from coconut oil and free from petrochemicals, to deliver mild foam that is kind to the skin. The alternatives that Tisserand use (chlorphenesin, potassium sorbate, sodium benzoate, to name a few) are just as effective in terms of microbiological/challenge testing, but are often milder to the skin. Tisserand do not use animal derived ingredients, such as lanolin or beeswax, and our products and ingredients are not tested on animals by us or on our behalf. We are proud to be certified by the Vegan Society. Such as phthalates, formaldehyde, petrochemicals (such as mineral oil, paraffin and petrolatum), propylene glycol, aluminium compounds, triclosan, BHA, methyldibromoglutaronitrile, triethanolamine, DMDM hydantoin, diazolidinyl urea and quaternium-15. Tisserand go organic wherever possible. It was Robert Tisserand's mother who first introduced him to aromatherapy, leading to a passion for the subject that continues to this day. Robert was already practising spiritual healing at the age of 15, but it was at the age of 17, on a train taking him back to boarding school, that he decided he wanted to share the benefits of essential oils with others, to improve their health and happiness. His vision was to bring essential oil based products into everyone's home. There was nothing like this available at that time, but it was the 1960's and the winds of change were blowing! After years of studying and practising as a massage therapist and healer, Robert started the Aromatic Oil Company in 1974 from his bedroom in a South London house. During the next 11 years, despite financial struggle and discouragement from others, Robert hand-bottled the oils, hand-wrote the label for each bottle and packed the parcels that he would despatch to customers every Saturday morning from his local post office. Having taken eight years to write it, Robert's first book - The Art of Aromatherapy - was published in 1977. In his book, Robert talks about nature, life force, the planets and the elements. This was a seminal piece of work, because it was a non-scientific counterpart to the only book in the world at that time - The Practice of Aromatherapy - written by a French doctor, Jean Valnet. It was in 1985 that a new company, Tisserand Aromatherapy Products Ltd, was formed, allowing Robert to act as essential oil and formulations consultant, fully utilising his years of experience; he continues in this role to this day. He still writes books that sell all over the world, such as Aromatherapy For Everyone and Essential Oil Safety - the first definitive reference guide for the aromatherapy industry on the safe use and application of over 300 essential oils. The product range has expanded enormously since its humble beginnings, but what continues to matter to Tissearnd - as it did to Robert some 40 years ago - is the enhancement of people's well-being. This is what drives their commitment to keep on delivering outstanding products based on ethical aromatherapy principles, and it is this quest for the best that has stood the test of time.